In no way do we claim this helps in quitting smoking, or is a safer alternative to smoking. Vaping is not an FDA approved smoking cessation method. Our E-Juice is comprised of VG, PG, Nicotine, and Unique Flavorings. 100% Pure Vegetable Glycerin USP, Kosher - Vegetable Glycerin is water soluble and hypoallergenic. Vegetable Glycerin is used for both external and consumable use in hundreds of thousands of products marketed in the USA. Vegetable Glycerin moisturizes, softens, lubricates and cleanses skin, and is also used as a natural low-glycemic sweetener. Glycerin is currently categorized by the American Dietetic Association as a carbohydrate. It is found in cough syrups, elixirs and expectorants, toothpaste, mouthwashes, skin care products; shaving cream, hair care products, soaps and water based personal lubricants. 100% Pure Propylene Glycol USP, Kosher - It is a colorless, nearly odorless, clear, viscous liquid with a faintly sweet taste, hygroscopic and miscible with water, acetone, and chloroform. Concentrations in foods range from <0.001% in eggs and soups to about 15% in some seasonings and flavorings. Propylene glycol is an FDA-approved additive for military dietary rations (Agency for Toxic Substances and Disease Registry 1997). 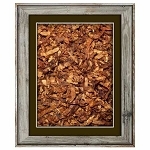 Nicotine - Nicotine is the drug in tobacco leaves. Whether someone smokes, chews, or sniffs tobacco, he or she is delivering nicotine to their system. Each cigarette contains about 10 milligrams of nicotine. Nicotine is what keeps people smoking despite its harmful effects. Because the smoker inhales only some of the smoke from a cigarette and not all of each puff is absorbed in the lungs, a smoker gets about 1 to 2 milligrams of the drug from each cigarette. Flavoring - We acquire our flavors from a variety of unique vendors. You MUST be 18 years of age or older to purchase from this site.